Remember when you were little and your family would gather at different times of the year to do something only your family would do? You had family traditions on special days like your birthday that you still do to this day and each time you do them, all the memories come flowing back to you. Those are the kinds of memories you cherish. Knowing how much those moments meant to you creates a desire in you to create those kind of memories for your own children. You want to build special birthday traditions with them that they will carry throughout their lives and pass on to their own children someday. 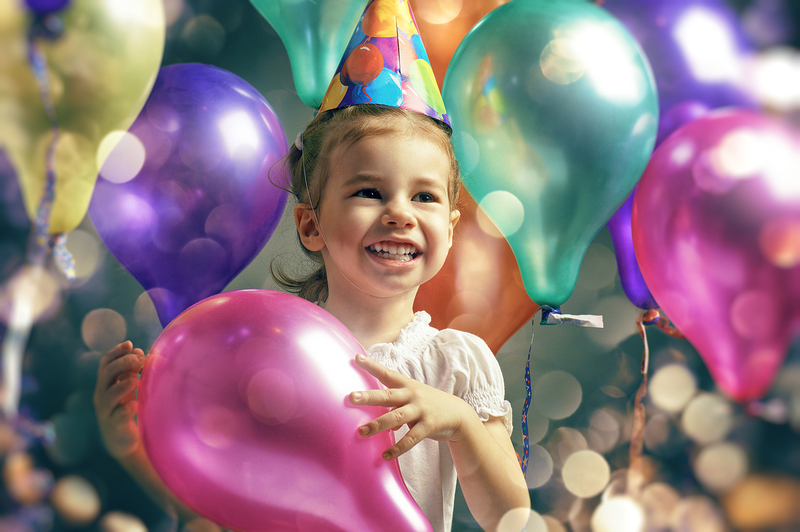 But how do you begin building a birthday tradition with your kids? It’s far easier said than done. Lucky for you, we have the answers for you and you can find them below. Just remember, each child is different. It is important to start traditions based on what they like to do. This one is a bit more spontaneous than others. That is the nature of a surprise. All your child will know is that at some point during their birthday they will receive some kind of surprise. Make it different every year. Maybe show up at their school or fill their room with balloons in the morning. We all know a kid’s 16th birthday, especially for girls, is a huge highlight and the party must go all out. Well, take a similar approach to certain birthday milestones of your choosing and, at each one, give a different family heirloom. Don’t have any family heirlooms? Create your own. Every family heirloom had to start somewhere. When your child wakes up in the morning, give them one or several tickets that they may use throughout the day to guarantee them a “yes” answer from mom and dad. If your child isn’t much of a daredevil and they are usually reasonable, this is a great idea. What is a better way to teach your child to be selfless than by sharing their big day with another child in need? Find a child in need through a local charity whose birthday is on the same day or close to that of your birthday boy or girl. Then, throw a joint party for the two of them. That gift may even turn into a new friend for your child. Let your child pick a tree they want to plant each year and have a planting birthday party. This may not be immediately rewarding, but when your child becomes an adult, they will see those trees and remember the memories of each day. They can continue the tradition by doing the same with their children in the same place. It’s a great reminder to “give life to get life.” You may even have a family forest someday. Ask your child about what they like: foods, colors, toys, everything. Even chart their growth. Write it on a large chalkboard as the background. Then, have a local photographer come and take pictures of your child being his or herself in front of this chalkboard. Add those photos into a birthday album that tracks every birthday. Happy birthday is sung by every family and at every restaurant (especially now that it’s public domain). So why not put your own spin on your child’s birthday by creating their own song. Don’t worry; you don’t have to be musically inclined to do this. You just need to be a little creative. Add in a few lyrics about your child or just make it a general family song that everyone in the family hears on their birthday, including mom and dad. Make a game out of opening gifts. Hide them around the house, in easy or difficult places. You can even include riddles or clues on where to find the gifts. If you’re really feeling creative, make a treasure hunt out of it, map and all. Or there’s always the scavenger hunt idea. No matter what, kids will look forward to this search every year. Start a birthday countdown a month or even just a week away from the big day. Use a paper chain that is decorated by you and your child or even redecorate a Christmas countdown calendar to make it fit a birthday theme, complete with your child’s name across the top and a big star on the big day. You can even put a chocolate or some small surprise in each day’s box. From breakfast to lunch and even dinner, make each meal special for the birthday kid. Add colorful sprinkles to pancakes in the morning. Pick a present for your child to open at lunch. Have cake after dinner. Even let your child blow out candles and make a wish for each meal and sing a different birthday tune for each. Memories are the gift that keeps on giving. What better birthday gift than to give a childhood memory? Start building your own family traditions this year with these suggestions and your birthday boy or girl will be sure to have lasting family memories. Just beware, there may be lots of happy screams in your future.